This is a 12" 16 shoe Spartan model with an unplated Bacon tone ring. Walnut neck with a rock maple rim. 25.5" scale Ebony fingerboard and gold EVO frets. 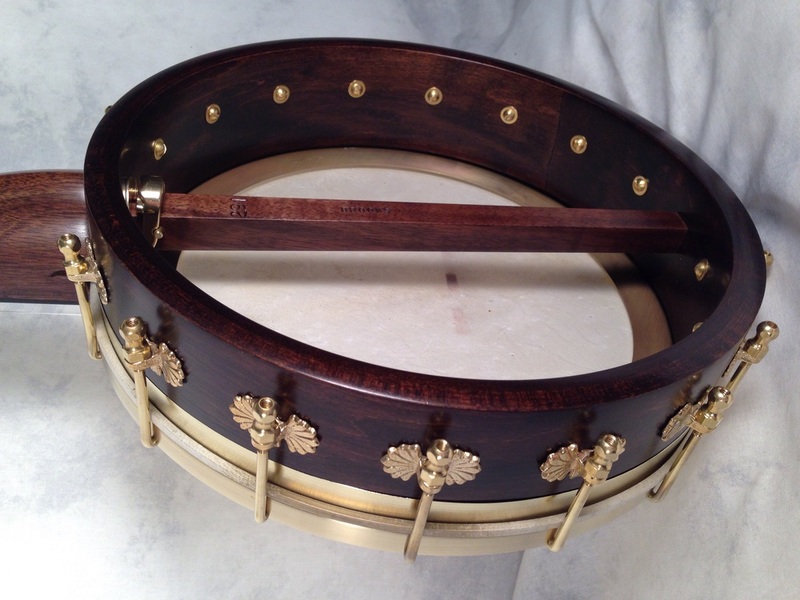 Goatskin head and BB tailpiece. This banjo is going to Halifax, Nova Scotia.